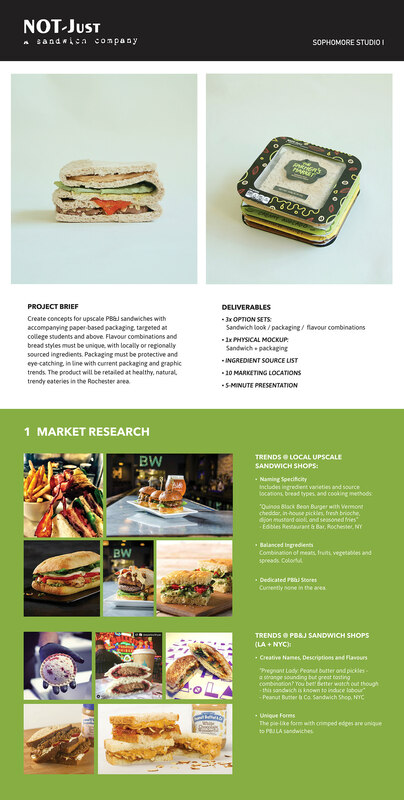 Create concepts for upscale PB&J sandwiches with accompanying paper-based packaging, targeted at college students and above. Flavour combinations and bread styles must be unique, with locally or regionally sourced ingredients. 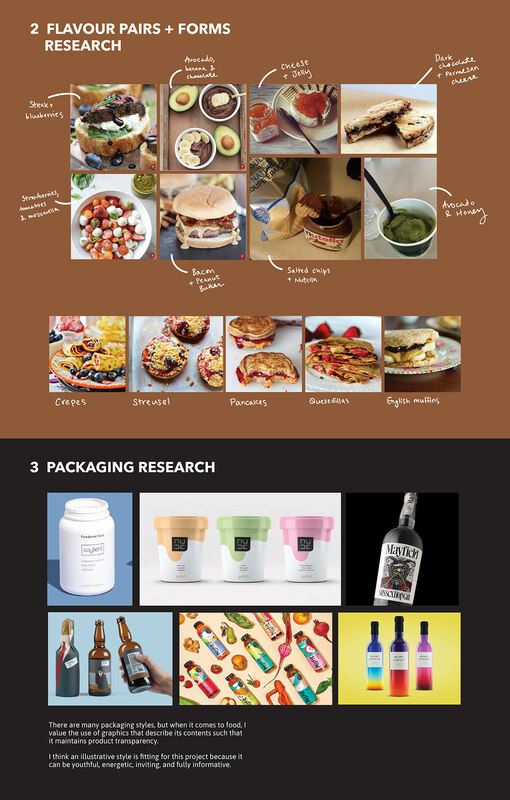 Packaging must be protective and eye-catching, in line with current packaging and graphic trends. The product will be retailed at healthy, natural, trendy eateries in the Rochester area.